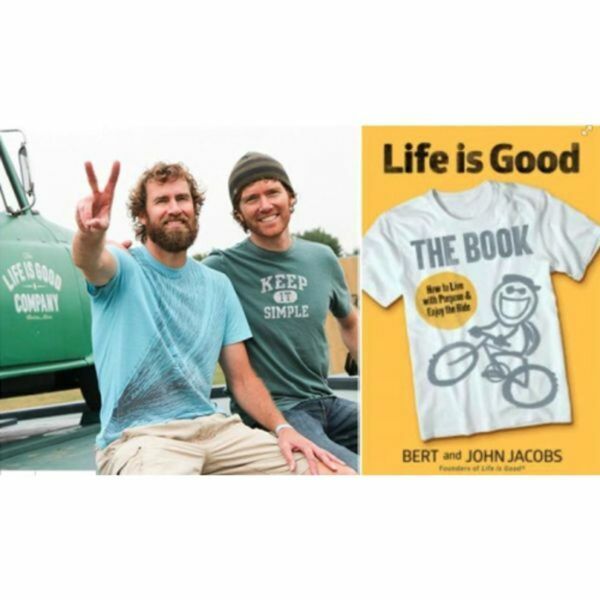 From Life is Good founders and brothers Bert and John Jacobs, this inspiring book of wisdom celebrates the power of optimism: the driving force behind their beloved, socially conscious clothing and lifestyle brand, now worth more than $100 million. Following the chronology of their personal and professional journeys, Bert and John share their unique ride—from their scrappy upbringing outside Boston to the unlikely runaway success of their business. The brothers illuminate ten key "superpowers" accessible to us all: openness, courage, simplicity, humor, gratitude, fun, compassion, creativity, authenticity, and love. Their story, illustrated with the company's iconic artwork, shows how to overcome obstacles and embrace opportunities—whether it's growing stronger from rejection, letting your imagination loose, or simplifying your life to focus on what matters most. In these colorful pages, Bert and John's plainspoken insights are paired with inspiring quotations, playful top-ten lists, deeply moving letter from the Life is Good community, and valuable takeaways from tapping the power of optimism to live your best life. Both entertaining and profound, Life is Good: The Book is the ultimate guide to embracing and growing the good in your life.